For other uses, see Puruṣārtha (disambiguation). Puruṣārtha (pronunciation: /pʊrʊʃɑːrθ/, Sanskrit पुरुषार्थ) literally means an "object of human pursuit". It is a key concept in Hinduism, and refers to the four proper goals or aims of a human life. The four puruṣārthas are Dharma (righteousness, moral values), Artha (prosperity, economic values), Kāma (pleasure, love, psychological values) and Mokṣa (liberation, spiritual values). All four Purusarthas are important, but in cases of conflict, Dharma is considered more important than Artha or Kama in Hindu philosophy. Moksha is considered the ultimate ideal of human life. Puruṣartha (पुरुषार्थ) is a composite Sanskrit word from Purusha (पुरुष) and Artha (अर्थ). Purusha mean "human being", "soul" as well as "universal principle and soul of the universe". Artha in one context means "purpose", "object of desire" and "meaning". Together, Purusartha literally means "purpose of human being" or "object of human pursuit". Alf Hiltebeitel translates Purusartha as "Goals of Man". Prasad clarifies that "Man" includes both man and woman in ancient and medieval Indian texts. Olivelle translates it as the "aims of human life". Purusartha is also referred to as Caturvarga. Dharma – signifies behaviors that are considered to be in accord with rta, the order that makes life and universe possible, and includes duties, rights, laws, conduct, virtues and right way of living. Hindu dharma includes the religious duties, moral rights and duties of each individual, as well as behaviors that enable social order, right conduct, and those that are virtuous. Dharma, according to Van Buitenen, is that which all existing beings must accept and respect to sustain harmony and order in the world. It is, states Van Buitenen, the pursuit and execution of one's nature and true calling, thus playing one's role in cosmic concert. Artha – signifies the "means of life", activities and resources that enables one to be in a state one wants to be in. Artha incorporates wealth, career, activity to make a living, financial security and economic prosperity. The proper pursuit of artha is considered an important aim of human life in Hinduism. Kama – signifies desire, wish, passion, emotions, pleasure of the senses, the aesthetic enjoyment of life, affection, or love, with or without sexual connotations. Gavin Flood explains kāma as "love" without violating dharma (moral responsibility), artha (material prosperity) and one's journey towards moksha (spiritual liberation). 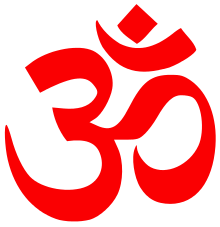 Moksha – signifies emancipation, liberation or release. In some schools of Hinduism, moksha connotes freedom from saṃsāra, the cycle of death and rebirth, in other schools moksha connotes freedom, self-knowledge, self-realization and liberation in this life. Ancient Indian literature emphasizes that dharma is foremost. If dharma is ignored, artha and kama - profit and pleasure respectively - lead to social chaos. The Gautama Dharmashastra, Apastamba Dharmasutra and Yājñavalkya Smṛti, as examples, all suggest that dharma comes first and is more important than artha and kama. Kamasutra states the relative value of three goals as follows: artha is more important and should precede kama, while dharma is more important and should precede both kama and artha. Kautiliya's Arthashastra, however, argues that artha is the foundation for the other two. Without prosperity and security in society or at individual level, both moral life and sensuality become difficult. Poverty breeds vice and hate, while prosperity breeds virtues and love, suggested Kautiliya. Kautilya adds that all three are mutually connected, and one should not cease enjoying life, nor virtuous behavior, nor pursuit of wealth creation. Excessive pursuit of any one aspect of life with complete rejection of other two, harms all three including the one excessively pursued. The sastras, states Kane, observe that the relative precedence of artha, kama and dharma are naturally different with age. 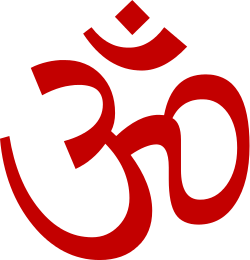 Moksha is considered in Hinduism as the parama-puruṣārtha or ultimate goal of human life. The first kind of activity leads to progress (abhyudaya), and the second, to perfection (nihsreyasa). Indian scholars offered a creative resolution to the tension between "action"-filled life and "renunciation"-driven life, by suggesting the best of both worlds can be achieved by dedicating oneself to "action with renunciation", that is when "action is without attachment or craving for results". Action must be engaged in because it is Dharma, that is, it is good, virtuous, right, a duty and a moral activity, and not because of one's craving for the results or material rewards without any consideration for Dharma. This idea of "craving-free, dharma-driven action" has been called Nishkam Karma in Bhagavad Gita. Other Indian texts state the same answer to tension between "pursue wealth and love" versus "renounce everything" Purusarthas, but using different words. Isa Upanishad, for example, states "act and enjoy with renunciation, do not covet". The Dharmaśāstras and the epics Ramayana and Mahabharata are the first known sources that comprehensively present the notion that integrated living entails the pursuit of four goals or ends. Early texts treating the goals of human life commonly refer to kāma, artha and dharma as the "trivarga" or "three categories" of possible human pursuits. This, however, does not mean that the fourth goal moksha was added later, states Hiltebeitel. The Dharmaśāstra and the Epics are primarily texts that focus on the concerns of householders (Grihastha stage of life), where trivarga are inherently of primary relevance. Prasad (2008) states that the division between the trivarga and mokṣa is intended to highlight the context between the social (trivarga) and personal (mokṣa) spheres. Baudhāyana also makes repeated references to the Sannyasa (ascetic) stage and its behavioral focus, such as in verses II.13.7 and 11.18.13. This reference, Olivelle states, is found in many early to mid 1st millennium BC texts, and is clearly from gnomic poetry about an established ascetic tradition by the time Baudhayana Dharmasutra and other texts were written. Katha Upanishad, in hymns 2.1–2.2 contrasts the human feeling of pleasant (preyas, प्रेयस्) with that of bliss (sreyas, श्रेयस्), praising the latter. The hymns of Rig Veda in Book 10 Chapter 136, mention Muni (मुनि, monks, mendicants, holy man), with characteristics that mirror those found in later concepts of renunication-practising, Moksha-motivated ascetics (Sannyasins and Sannyasinis). These Muni are said to be Kesins (केशिन्, long haired) wearing Mala clothes (मल, dirty, soil-colored, yellow, orange, saffron) and engaged in the affairs of Mananat (mind, meditation). He with the long loose locks (of hair) supports Agni, and moisture, heaven, and earth; He is all sky to look upon: he with long hair is called this light. The Munis, girdled with the wind, wear garments of soil hue; They, following the wind's swift course go where the Gods have gone before. Scharfe states, "there are abundant references both to the trivarga and caturvarga in Hindu literature throughout the ages". These texts discuss dharma from various religious, social, duties, morals and personal ethics perspective. Each of six major schools of Hinduism has its own literature on dharma. Examples include Dharma-sutras (particularly by Gautama, Apastamba, Baudhayana and Vāsiṣṭha) and Dharma-sastras (particularly Manusmṛti, Yājñavalkya Smṛti, Nāradasmṛti and Viṣṇusmṛti). At personal dharma level, this includes many chapters of Yogasutras. Artha-related texts discuss artha from individual, social and as a compendium of economic policies, politics and laws. For example, the Arthashastra of Kauṭilya, the Kamandakiya Nitisara, Brihaspati Sutra, and Sukra Niti. Olivelle states that most Artha-related treatises from ancient India have been lost. These discuss arts, emotions, love, erotics, relationships and other sciences in the pursuit of pleasure. The Kamasutra of Vātsyāyana is most well known. Others texts include Ratirahasya, Jayamangala, Smaradipika, Ratimanjari, Ratiratnapradipika, Ananga Ranga among others. These develop and debate the nature and process of liberation, freedom and spiritual release. Major treatises on the pursuit of moksa include the Upanishads, Vivekachudamani, Bhagavad Gita, and the sastras on Yoga. The Sanskrit Epics devote major sections on purusarthas, in particular debating dharma. The concept of Purushartha in Indian philosophy is integrated with its concept of Ashramas system – the four stages of a human being: student, householder, retired and renouncer stages. Each of the four Ashramas of life are a form of personal and social environment, each stage with ethical guidelines, duties and responsibilities, for the individual and for the society. Each Ashrama stage places different levels of emphasis on the four proper goals of life, with different stages viewed as steps to the attainment of the ideal in Hindu philosophy, namely Moksha. Neither ancient nor medieval texts of India state that any of the first three Ashramas must devote itself predominantly to one specific goal of life (Purushartha). The fourth stage of Sannyasa is different, and the overwhelming consensus in ancient and medieval Indian texts is that anyone accepting Sannyasa must entirely devote to Moksha aided by Dharma, with a complete renunciation of Artha and Kama. The life span of a man is one hundred years. Dividing that time, he should attend to three aims of life in such a way that they support, rather than hinder each other. In his youth he should attend to profitable aims (artha) such as learning, in his prime to pleasure (kama), and in his old age to dharma and moksha. ↑ Sushil Mittal and Gene Thursby (2004), The Hindu World, Routledge, ISBN 0-415-21527-7, page 4, Quote: "There are four categories or life-ideals (caturvarga or purusartha) that usually are said to provide the framework for classical Hindu society". T. Chatterjee (2003), Knowledge and Freedom in Indian Philosophy, ISBN 978-0-7391-0692-1, pp 89–102; Quote - "Moksa means freedom"; "Moksa is founded on atmajnana, which is the knowledge of the self." Hiltebeitel, Alf (2002). "Hinduism" in: Kitagawa, J. M. (Ed.) The Religious Traditions of Asia: Religion, History and Culture. Routledge. ISBN 0-7007-1762-5. Hopkins, Thomas J. (1971). The Hindu Religious Tradition. Cambridge: Dickenson Publishing Company, Inc.
Olivelle, Patrick (1993). The Āśrama System: The History and Hermeneutics of a Religious Institution. Oxford: Oxford University Press. ISBN 0-19-508327-X. Prasad, Rajendra (2008). A Conceptual-Analytical Study of Classical Indian Philosophy of Morals. Centre for Studies in Civilizations. ISBN 81-8069-544-1.